Night photography occurs between dusk and sunrise. The amount of light available is obviously less than during other times of the day. This can create some interesting pictures if done properly. The skills needed for night photography with a 35mm camera also are applicable with other film formats and digital photography. Select the right film. The International Standards Organization (ISO) number represents the light sensitivity of the film. The higher the number the more sensitive, or faster, the film. The downside of high-speed film is an increase in graininess and a decrease in color saturation. Mount the camera on a tripod. The tripod keeps the camera steady during the long exposures common to night photography. A tripod should be used any time the camera shutter speed is slower than the focal length of the lens. 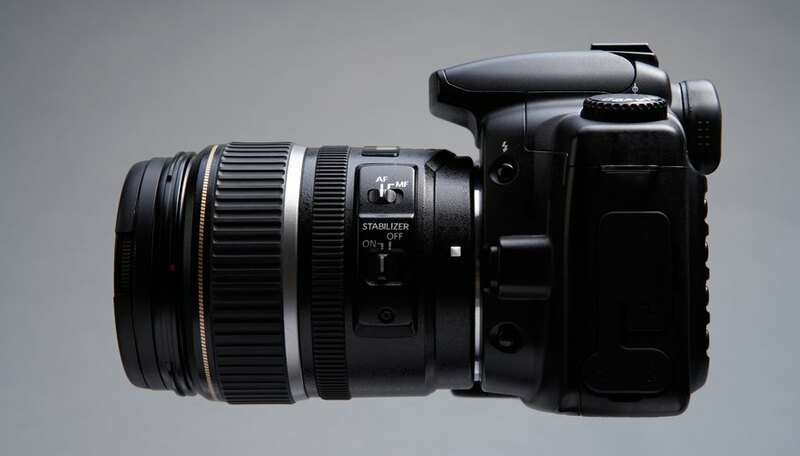 For example, a 50mm lens should be mounted on a tripod anytime the shutter speed is less than 1/50th of a second. A 200 mm lens should be tripod mounted if the shutter speed is slower than 1/200th of a second. Determine the correct exposure. The through-the-lens light metering of a 35mm camera can be a good starting point to determine the correct exposure. In night photography, the correct aperture will likely be a slow shutter speed with a fast aperture. Depending on the camera, the shutter may not stay open for periods longer than a half second. In this case, the shutter can be held open with a bulb remote. This device depresses the shutter and holds it open until it is manually released by the photographer. Compose the picture. Night photography offers a number of creative opportunities. The slow shutter speed will make the headlights of cars look like streaks of light across the scene. A statue lit by spotlights will stand out against a black sky or sunset. Any of these scenarios, and many others, makes excellent night photography subjects. Take shots both slower and faster than the exposure indicated by the camera or light meter. This is known as bracketing and increases the chance of finding just the right shot.